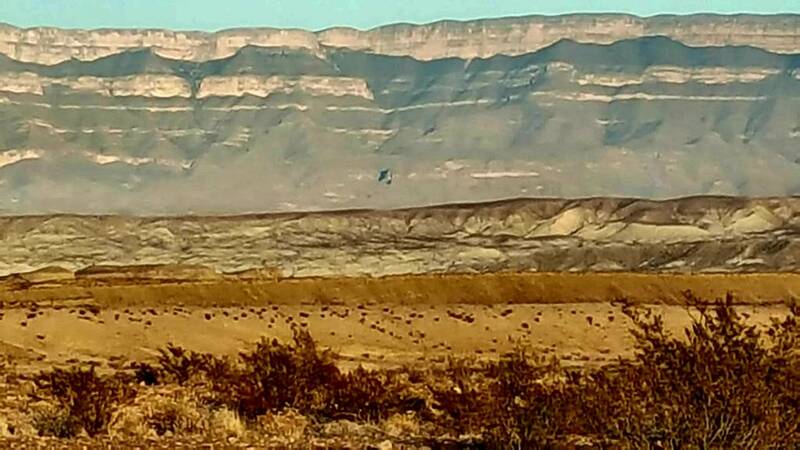 At its May 24 public meeting in Lubbock, the Texas Parks and Wildlife Commission will vote on a proposal to begin the process of purchasing a 16,000-acre tract of land in Brewster County from the Texas General Land Office. That 25-square-mile tract, which includes seven miles of frontage along the Rio Grande and holds habitat supporting bighorn sheep, black bear, Gambel’s and scaled quail and other endemic Trans-Pecos wildlife, would be added to the adjacent Black Gap Wildlife Management Area. Public access for hunting, fishing and other outdoor recreation will be part of Texas Parks and Wildlife Department plans for the 16,000-acre tract the agency is proposing to purchase and add to the Black Gap WMA. During a briefing to the Texas Parks and Wildlife Commission last month, TPWD staff said the Texas General Land Office is willing to sell the agency the 16,000-acre tract it holds adjacent to TPWD’s 103,000-acre Black Gap WMA, just east of Big Bend National Park. The GLO-owned tract has an 11-mile common boundary with Black Gap WMA and seven miles of frontage along a section of the Rio Grande, and its rugged, rocky terrain holds high-quality wildlife habitat. The 25-square-mile tract “is noted for its important wildlife value,” Bill Tarrant of TPWD’s wildlife division told the Commission. 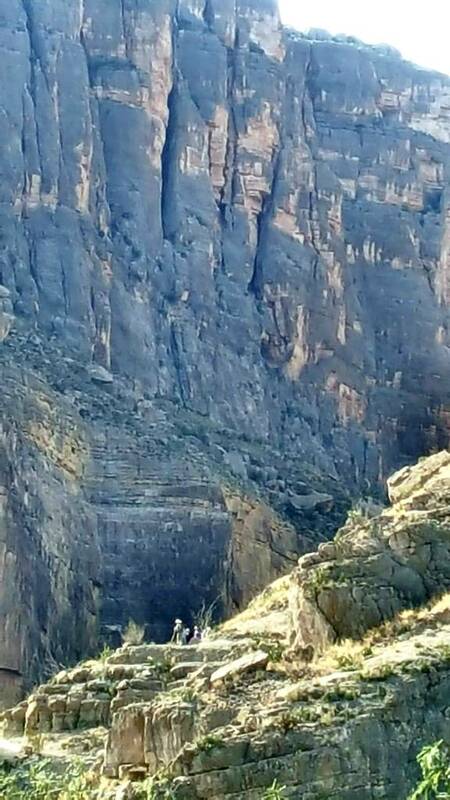 The tract currently is leased to the Texas Bighorn Society, a hunter-based conservation organization that works to restore and enhance desert bighorn sheep and wildlife habitat in the Trans-Pecos, and TPWD staff have been working with the organization to manage the property. Adding it to the WMA would enhance the WMA without resulting in additional operating expenses, Tarrant said. Acquiring the 16,000-acre property could be accomplished without costing the agency or the state any cash outlay, staff said. Stan David of TPWD’s land conservation branch said the agency proposes using the federal Pittman-Robertson Fund program to purchase the tract. The Pittman-Robertson Fund is a federal wildlife matching grants program funded by federal excise taxes paid on firearms and ammunition, with that money disbursed to the states for approved wildlife-related projects. The federal fund would issue a grant for 75 percent of the purchase cost with the state required to provide the remaining 25 percent. The Texas Parks and Wildlife Foundation, a non-governmental group that raises private money for TPWD projects, would raise the state’s 25 percent of the estimated $7.2million-$8 million GLO will ask for the land, David told the Commission. I wonder if that 7 mile stretch of riverfront will have a big beautiful wall constructed on it or if TPWD will block federal encroachment? Where does TPWD stand on the wall issue? While they're at it, they also should pick up the 6,500 acre Stillwell Ranch and manage it as open public land. A novel concept in TX to be sure. And while they're at that, I'd (selfishly) love to see them acquire the old Adams Ranch from CEMEX. But I don't see that happening in the foreseeable future. I doubt that one will go into public ownership until and unless the U.S. and Mexico actually commit to an international conservation park on both sides of the river. Thank you, Mr. Dawn. I hope someone here has an informed and unbiased answer. There's not going to be a wall though the Big Bend. 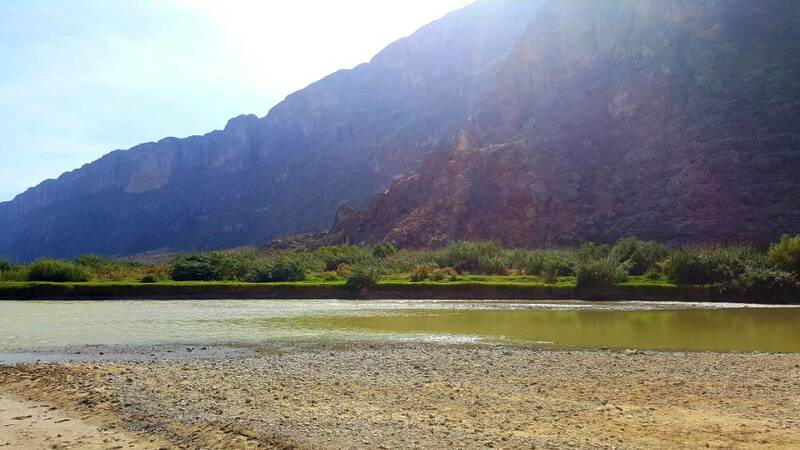 Last time out at Santa Elena Canyon we ran across a fella from Ohio that knew EVERYTHING about the park. We told him Trump had already started on the wall in BBNP right here. The fella turned to his wife and said "see I told you". Lol!!! That had me cracking up. Here you can see Trump's insignia, down low in the center. Classy. Haha! Sometimes part of the fun for me is visiting with the different folks there as well. Sometimes. Lol.